Happy Monday! It is the beginning of a new week so it is time to set goals, make to do lists, finish what you started and leave your mark on the world. In order to accomplish all these tasks you have to stay motivated. One way I stay motivated is by reading self help books that boost my positivity and motivate me to continue on my journeys. One of my favorite motivational speakers and author is Jon Gordon. 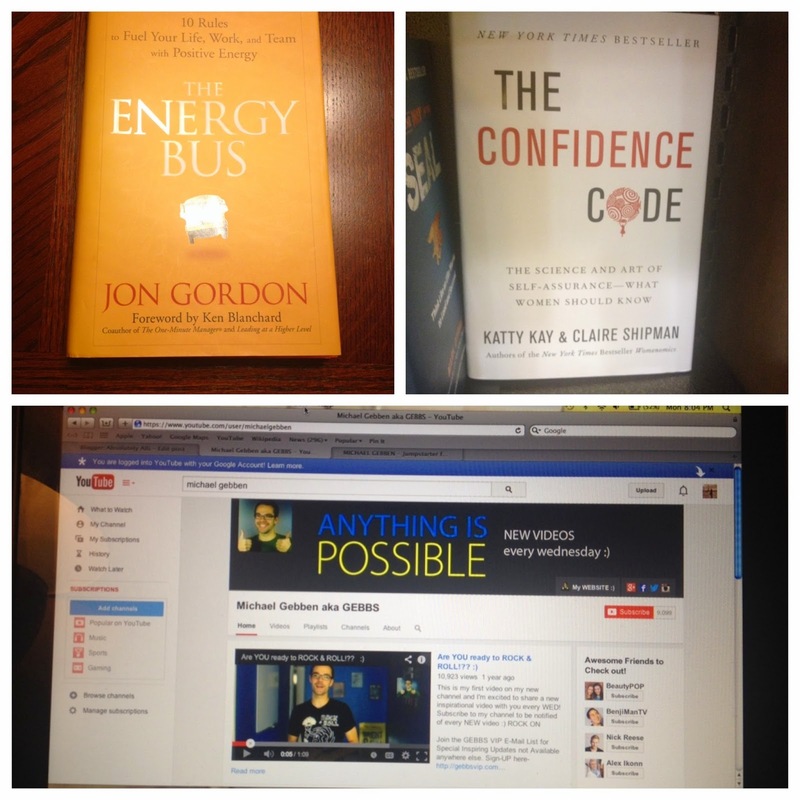 Two books of his I have read are The Energy Bus and The Positive Dog. His books are an easy read and will leaving feeling like you can accomplish anything that you are committed to. Check out his website http://www.jongordon.com/. Another of my favorite motivational speakers is Michael Gebben. He has a YouTube channel called Anything is Possible where he post motivational videos every Wednesday. Definitely watch worthy https://www.youtube.com/user/michaelgebben. He also has a blog you should check out http://michaelgebben.com/. The next book on my list to read is The Confidence Code http://theconfidencecode.com/. I have heard such good things about this book and cannot wait to read it. I think motivation is key to positive outcomes. So filling my head with positivity allows me to conquer difficult goals and task that I never thought possible. What are some of the ways you stay motivated? For my Monday outfit of the day I chose to keep it simple. But yet I love this outfit. 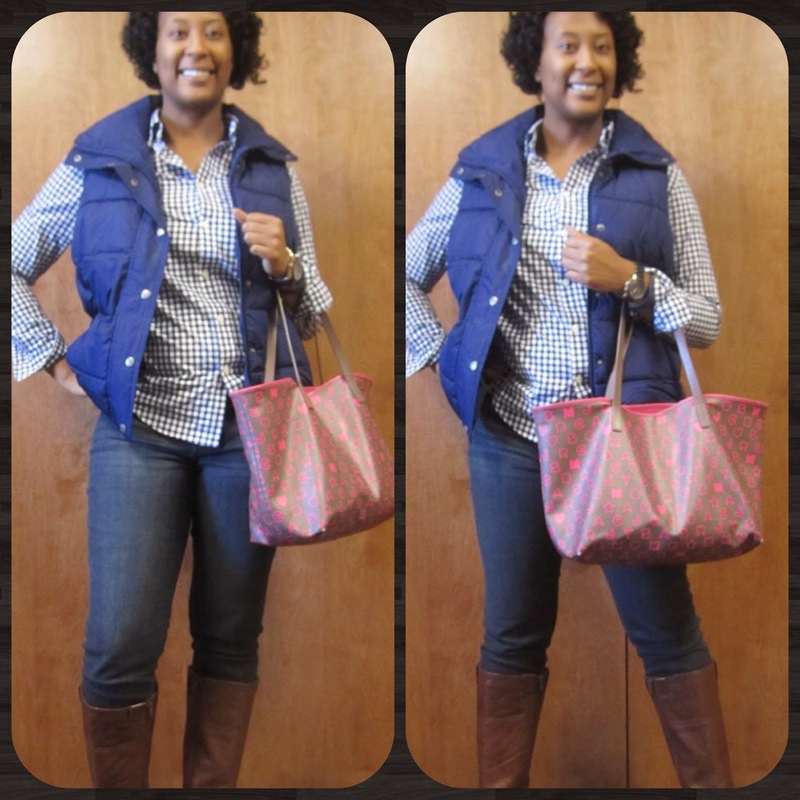 This vest is on sale now at Old Navy. Found this navy gingham print shirt in the men's section in Target. Ladies never be afraid to style up a mens shirt. So go ahead and venture into you husband's or boyfriend's closet. I topped off the outfit with a pair of skinny jeans and some riding boots.